Flouresaent! Yup, I can't spell. 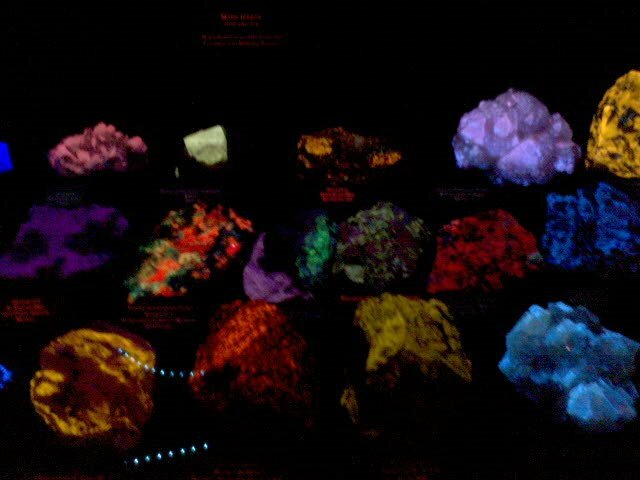 Wonderful little mineral show with a special room full of several cases of glowing-in-the-dark minerals. You even got to bring in stuff you bought and put it under the black lights to see if it would flouresce. Cool!